Software engineering and software development undergraduate degree programs are popular pursuits due to the rapid rise in demand for software engineers. The demand is not only in the technology and application development fields but in most industries where companies need programming and development done. 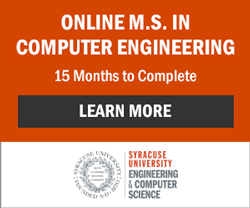 Though software engineering and software development programs are focused on preparing students for this kind of work, computer science and computer engineering students also receive instruction in the fields of software engineering. This is why you find many computer science and computer engineering program graduates working in software engineering. To the right you will find further reading that discusses the differences in these areas and fields of study. The academic institutions in Maine have not launched software engineering undergraduate degree programs as of 2012. Options to stay in state include enrolling in a computer science or computer engineering degree program or finding an online software engineering or software development degree program.